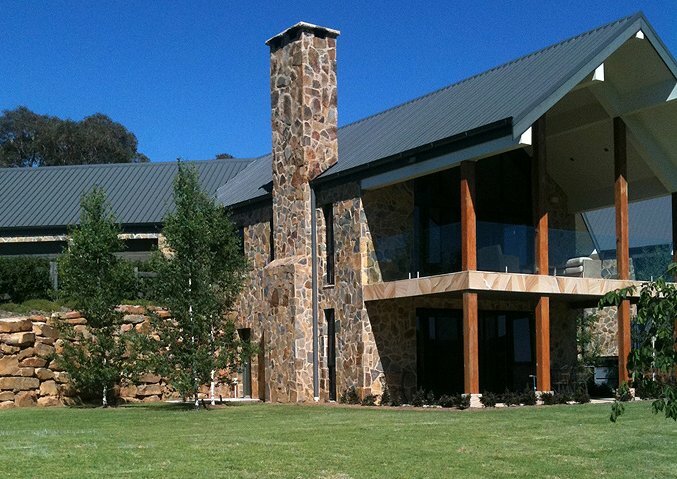 This stunning country lodge epitomises luxurious country living. 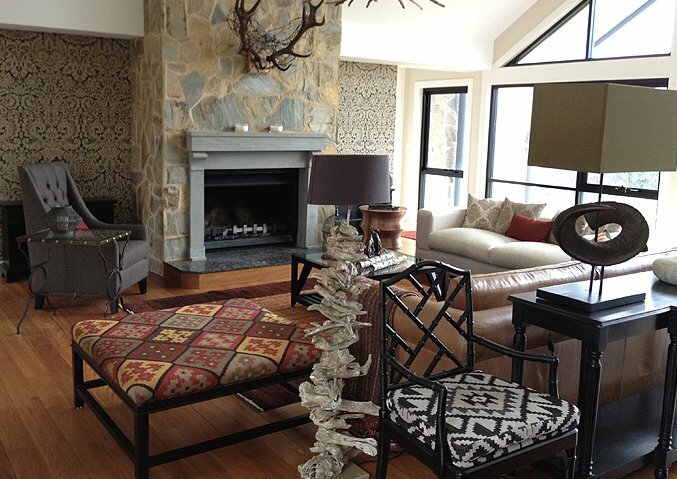 It’s grand exterior may institute expectations of exquisite interior designs. 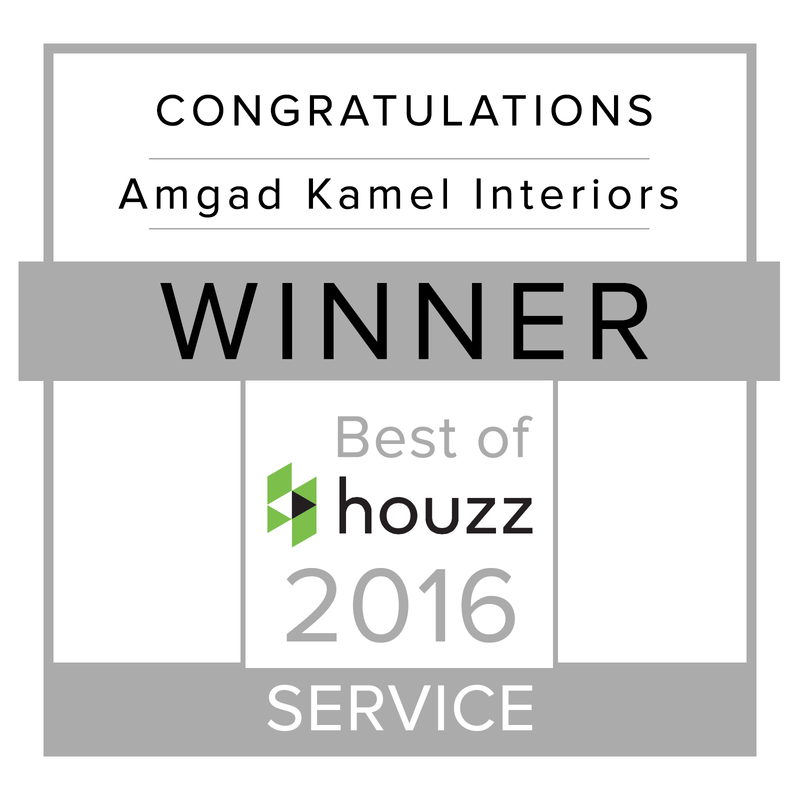 Amgad Kamel Interiors have crafted a central look and feel that exudes sophistication, luxury and comfort that completely meets – and indeed, may surpass – these expectations. 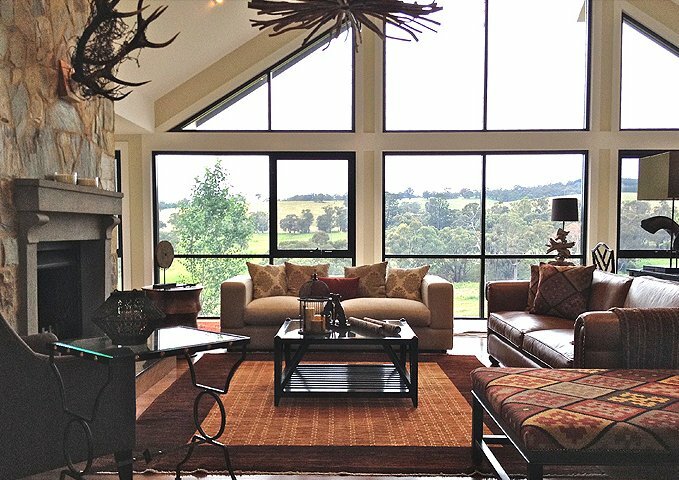 This lodge, located in the heart of a country New South Wales town, accommodates family living at its best. 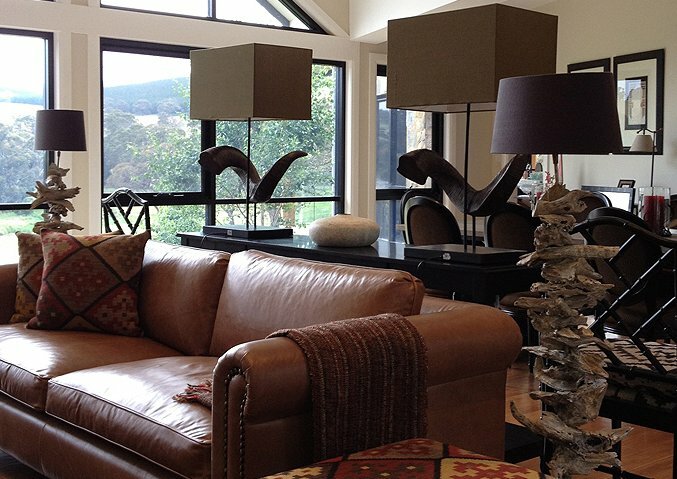 A focus of comfort and warmth was therefore incorporated in the design process. 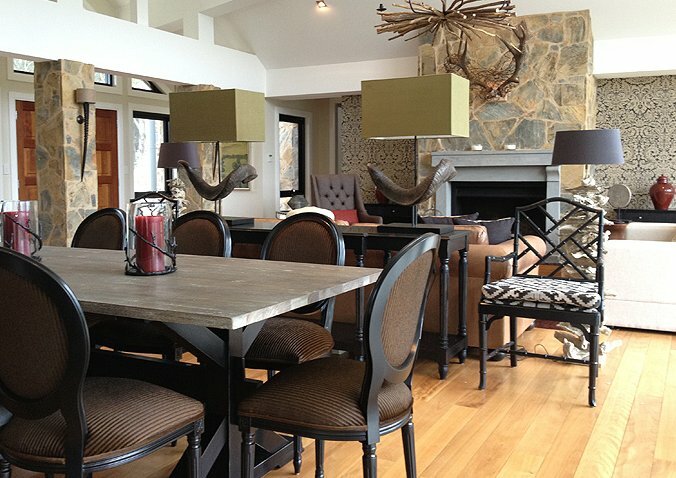 This is elucidated by the use of materials such as velvet, leather and chenille fabrics, which give warmth to the space. Take the living space, in which a large fireplace and a mixed-stone chimney and mantel dominate as the room’s most powerful feature. This, the polished wooden floorboards and the largely window dominated wall create a chic and polished feel to the space. 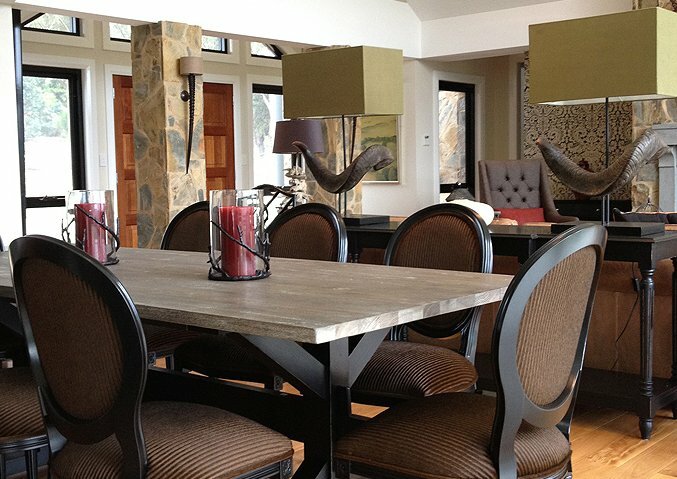 This is married with comfort through warmer textures used on the feature couch-side table, the cushions and the dining chairs. There is consistency in these, with each piece containing a similar pattern, though variation in the colour exists. This also adds visual excitement to the room. Lighting plays a key role in this home – not only in skilfully illuminating certain spaces but also in the aesthetic of the lampshades and pendants. 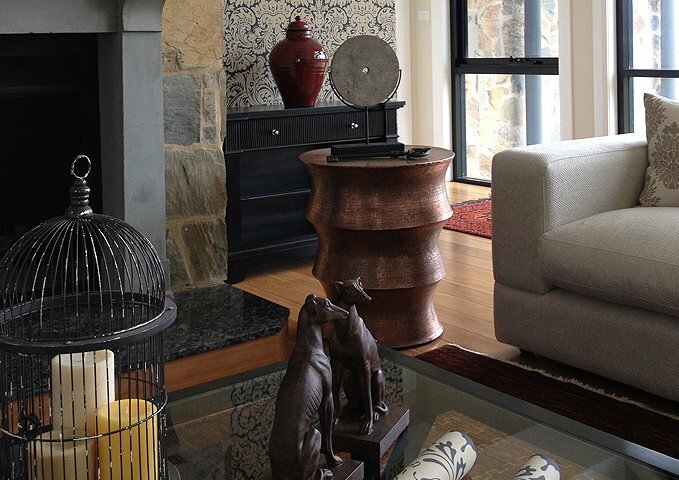 Peppered throughout the home is an array of smaller lamps, adding dimension to the lighting of the home. 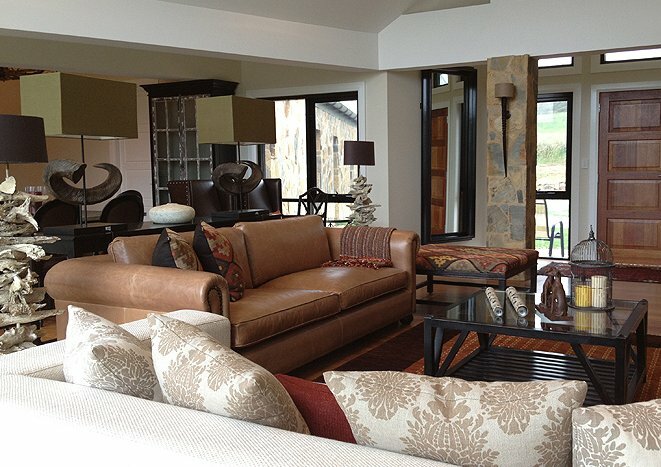 They also follow a colour scheme of earthy hues, including rich greens, tan, chocolate and creams. 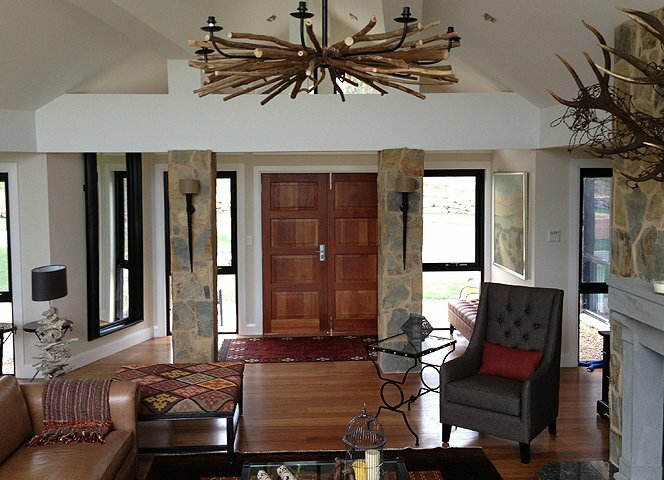 One cannot, however, mention lighting without noting the statement pendant that hangs above the living space. 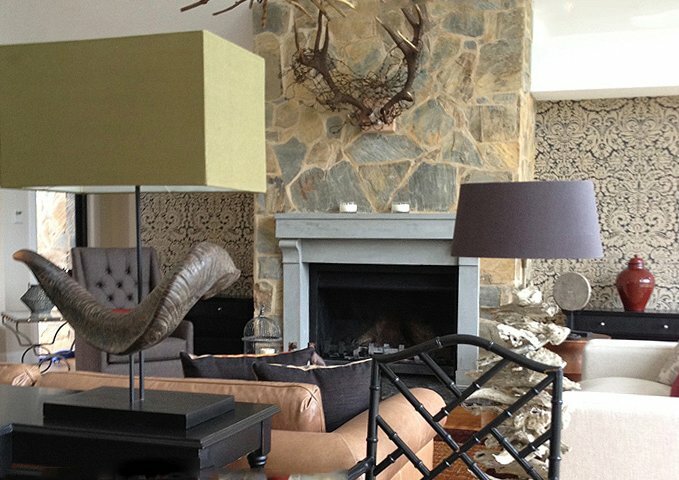 This is both lighting and statement artwork, ideal for the lodge-style aesthetic. The writing desk corner is an example of a simple, and yet effective use of space that utilises stylistic features to maintain a look of contemporary sophistication. 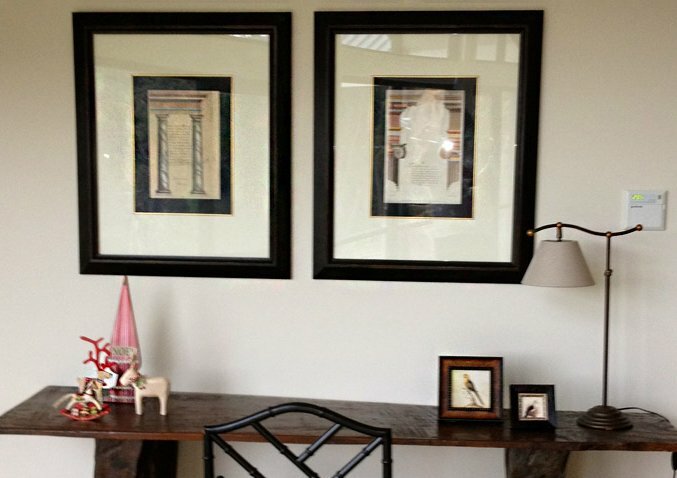 The two, symmetrical artworks, framed in black, match the chair frame and photo frames. The marrying of black, polished ornaments here with the rich brown desk and lampshade highlights how seamlessly the classic and elegant is tied together with the more modern, sleek design elements in this house. 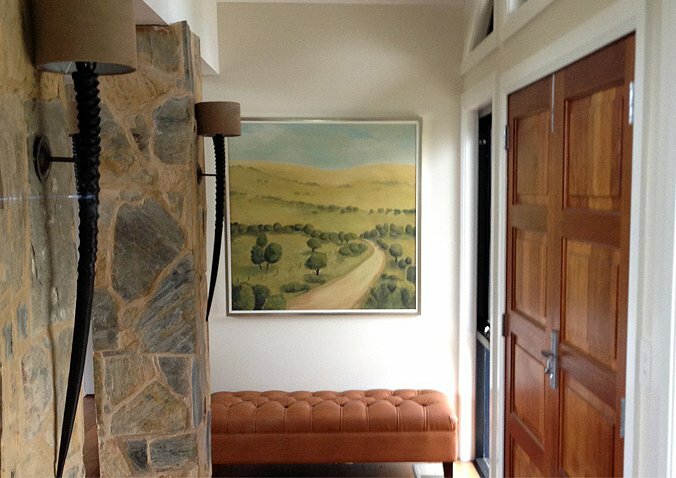 It also provides an example of the attention to smaller details that results in an overall aesthetic, perfect for country-style family living.